We now offer two different types of socks. 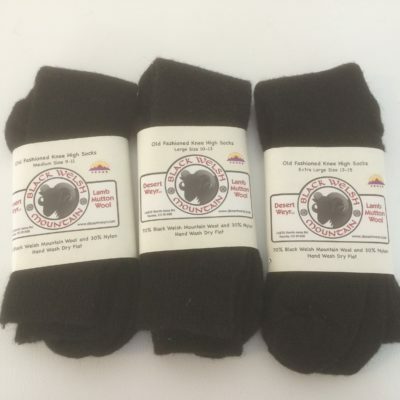 These are made with 70% Black Welsh Mountain wool and 30% nylon. For some people they will be too coarse and scratchy but others will appreciate the durability and warmth. They must be hand washed and dried flat.